Immortal cancerous lifeforms including the infamous He-La cell and the A549 cell line as well as others are the real modern zombie horror show that many have never heard of. This is because the situation may be far scarier than any movie. Immortal He-La cells are human cancer cells propagated in a lab that live forever given the right conditions and are very hard to control. Having a prion-like capability of floating on a grain of dust or adhering to testing tools. They have contaminated human cell culture production operations worldwide since the 1950s. Able to escape level 5 containment facilities specifically made for their use as described in the informative BBC documentary “The Way of All Flesh“. It is a mystery how He-La cells are able to travel around the globe and take over other human cell lines in laboratories, transforming them into literal zombie cancer cell cultures. Human experiments in the 1950s have indicated that He-La cells are capable of producing tumors in humans but were never replicated due to ethical concerns. It is well-known He-La cells can produce tumors in lab animals with the injection of 10 or more cells directly into the body. In 2012 an FDA advisory panel held a meeting called “Human Tumors for Vaccine Manufacture” and approved the study of immortal cell lines to directly culture vaccines, “believing” a benzonase treatment and filtration technology will remove whole He-La cells from the final product. Yet admittedly wanting to downplay the fact these new vaccines would be grown on immortal human cancer He-La cells. Immortal human cell lines are one of the most important issues of or time because most bio-medical products including vaccines, other research cell lines, cosmetics and biologic medications could be contaminated with them. One dirty little secret of the bio-medical industry is retro-viruses, adventitious agents and DNA fragments contaminating their products. The real threat the bio-medical industry and government don’t want discussed is the possibility of contagious viral cancer spread by the use of He-La cells and other retro-viruses, in testing and production of bio-medical products including vaccines since the 1950s. Now since 2012 the FDA has approved the vaccine industry to start studying the production of vaccines directly from cultured He-La cells. Where as before this point in time vaccines and bio-medical products were only supposedly tested on He-La cells due to their human-like characteristics. The ban on using human tumor cell lines to produce vaccines was put in place because of concerns over cross contamination of viruses, especially cancer viruses both known and unknown that affect humans. Admittedly as much as 10 nano-grams of latent DNA and possibly unknown viruses may still be in each dose of any vaccine. This is up from the 100 pico-grams of latent DNA allowed in each dose. A standard set in the 1990s by the World Health Organization but one that could not be met by manufacturers. So it was raised by 10,000%. This may be especially dangerous if the vaccine is derived from immortal human cancer cell lines such as He-la or the A-549 lung cancer cell line. Immortal cell lines are literally human zombie cancer cells created by the bio-medical industry for research and testing since the late 1950s, He-La cells resemble normal human cells in many ways but are not entirely human. Some scientists consider them a new life form (Helacyton Gartleri), as they are a cross between the Papilloma Virus 18 and human DNA. Originally taken from a woman with a cancerous tumor 70 years ago, the same He-La cells are still alive to this day. Most have heard the story about African-American Henrietta Lacks, who in 1951 had a special type of cancerous tumor removed from her cervix, caused by the H.P.V. 18 virus. It was subsequently cultured by Dr. Henry Otto Gey in a lab, creating the first immortal cell line or He-La cells. Her family was never notified of the experiments in the late 1950s and their importance in building the lucrative bio-medical industry. Until called upon to provide DNA to try and stop the spread of the out of control He-La cells infecting bio-medical samples around the world in the 1970s. The Lack’s family story became known through the book “The Immortal Life of Henrietta Lacks” by Rebecca Skloot, eventually becoming a movie starring Oprah Winfrey as Henrietta Lacks. Yet the full importance of these revelations are hardly discussed as they are too terrifying to contemplate. A contagious zombie cancer cell line unleashed on an unwitting public through the very institutions trusted to improve medicine? The very first polio vaccine was produced using 500 pounds of He-La cells from the world’s first cell production facility at the Tuskegee Institute. A polio vaccine that the CDC even admits may have given millions of people cancer through the SV-40 retro-virus. This is the same institution that gave African-Americans syphilis over a 30 year period by injecting them with out their knowledge. An institution that secretly infected thousands with syphilis, may have given millions cancer through the polio vaccine via SV-40 and created the mass production of immortal He-La cancer cells. Which may be a form of contagious cancer. Hopefully the cause for concern is evident. One scientist, Chester M. Southham, who was a leading virologist at the time, injected He-La cells into cancer patients, prisoners, and otherwise healthy people to observe whether cancer could be transmitted. His conclusions were that He-La cell cancer can be transmitted and did cause tumors in some of the recipients. Yet the experiments were deemed inconclusive by the short duration of the study and swept under the rug. It would be inconvenient for the bio-medical industry to repeat this type of study today and have to admit that He-La cells and other retro-viruses in their products could transmit cancer in humans. Clinical trials wouldn’t last nearly long enough to catch tumor growth as it could appear decades later. Just as with the other known viruses that cause cancer like HPV or SV-40. Why are all types of cancer up thousands of percentage points since the 1950s? Cancer has been known to be contagious in certain circumstances by the elite medical establishment for over a hundred years. Especially when the host’s immune system is compromised by any number of chemical, dietary or electromagnetic means. Once the human immune system is suppressed then viral cancer is more likely to take hold. Some of the known cancer viruses today are SV-40, HPV, EBV, HTLV-1, Hepatitis B, HHV-8, Hepatitis C and MCV. All of this information about contagious cancer leads back to the founder of modern medicine, principally the Rockefeller Foundation. Mass media has kept from the general public for over a hundred years the fact that poor diet, unsanitary or inhumane conditions and industrial chemical exposure leads to a fertile environment to let cancer viruses propagate. He-La cells are so ubiquitous it’s hard not to find them in human cell line samples used for research and production by Big-Bio corporations. The bio-medical industry was basically built on the immortalized cell lines because before He-La cells scientists couldn’t get human cells to grow in the lab for more than a few days. Development of the polio vaccine, which kicked off the modern era of mass vaccinations was possible due to He-La cells.The first cells ever cloned in 1953 were He-La cells as well as being the first cells to have its DNA decoded. They have gone into space ans have been used for nuclear testing and toxins. He-La cells are used to test cosmetics and industrial products of all types. This is one of the main reasons testing on animals is not needed as much anymore. They react much like human cells when testing different chemicals. Gardisil, the leading H.P.V. vaccine was tested using He-La cells. Immortal cell lines are on the forefront of longevity research as well, due to their ability to replicate telomeres endlessly, leading the ability to live forever. Some hoping to create a vaccine for getting old in the future using this technology. Since the 1950s, scientists have grown 20 tons of He-La cells and there are almost 11,000 patents involving them. Immortal human cancer cell lines almost caused an international incident with the U.S.S.R. at one point in the 1970s. With the Soviets accusing the U.S. of spiking bio-medical cell samples, exchanged in the name of “The War on Cancer”, with weaponized cancer! Many scientists today refuse to work with He-La cells due to contamination concerns but even these labs are not safe. The question should be asked. Are people safe from this zombie cancer contamination? Dr. Henry Otto Gey, the first man to produce He-la cells, became convinced He-la cells were transmitting cancer, as he was dying from cancer himself. He spent the rest of his career, after discovering that immortal cell lines were infecting labs and other human cell lines across the world, developing better diagnostic tests to find and eradicate He-La cells. Ultimately, the problem was not resolved and it continues to this day. Eventually he was railroaded by the bio-medical community to the point that when Dr. Gey had a surgery to remove the cancerous tumor from his pancreas, under strict orders to preserve the cancerous mass, it was incinerated by the surgical team against Dr. Gey’s wishes. He wanted to test the tumor for signs of He-La cancer contamination but was denied and ultimately died. Just as a popular culture side-note He-La cells multiply quickly and live forever when given their favorite food which was originally finely ground up chicken brain and blood matter. A reference to the zombie genre which has become so familiar to the public since the late 1950s, continuing to this day. An immortal contagious being that craves brain matter or blood, consuming the living as it spreads like a cancer. A detail seemingly not missed by 1950s mass media producers a viral zombie apocalypse due to science gone awry was openly talked about in science fiction novels at the time. Richard Matheson’s I Am Legend published 1954 followed in film version by The Last Man on Earth in 1964 and Omega Man in1971. George Romero’s Night of the Living Dead series starting in 1968 was based on the same novel. In the current I Am Legend movie starring Will Smith, it is revealed in the first five minutes that viral cancer research gone wrong was the cause of the zombie outbreak and the death of mankind. Before this point in popular culture a zombie was considered to be someone who was under mind control by another person or had risen from the dead. Not an immortal brain or blood eating life-form that is contagious and infects its victims like cancer. An allegory displayed through works of fiction but with a basis in reality. Think of the Umbrella Corporation from Resident Evil releasing a retro-virus from its level 5 bio-containment facilities that spreads the like cancer. Producing zombie outbreaks or an I Am Legend film scenario where a zombie virus, which was originally created to cure cancer, has wiped out most of mankind. Ending in a World War Z as modern incarnations of this concept. All having some dedicated but naive scientists feverishly looking for a cure to something they created. Based on a contagious zombie retro-virus released by same scientists, which can’t be destroyed, spreads rapidly like cancer and kills world’s human population. Why not ask the obvious question, could all this meddling with immortal cancerous lifeforms and genetically engineered viruses in the name of science be contributing to the dramatic rise in all cancers since the 1950s? Especially if products made with them are being directly injected into the population. Often times art imitates life as establishment entertainment puts a thinly veiled version of the truth right in front of your face to prepare the mind for when your family and neighbors all die of various cancers. Even though they may have never smoked, drank alcohol excessively, been in the sun for prolonged periods or been exposed to heavy industrial chemicals. While we are all looking for the cure instead of the cause of cancer. Yet cancer hasn’t been cured since all this “cancer research” began, and in fact has only gotten much worse, killing more people than a Hollywood zombie apocalypse ever could. 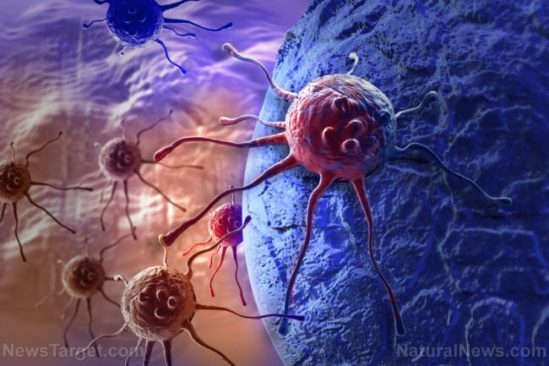 The official mainstream “war on cancer” has been an unofficial “war” on the unsuspecting public: to keep them misinformed and misguided about the real truth of this “war.” The “moonshot” program is an extension or reincarnation of the enduring deep racket. The orthodox cancer establishment has been saying a cure for cancer “is just around the corner” and “we’re winning the war on cancer” for decades. It’s all hype and lies (read Dr. Guy Faguet’s ‘War on cancer,” Dr. Sam Epstein’s work, or Clifton Leaf’s book on this bogus ‘war’). At the same time, this same orthodox cancer cartel has been suppressing and squashing a number of very effective and beneficial alternative cancer approaches. You probably guessed why: effective, safe, inexpensive cancer therapies are cutting into the astronomical profits of the medical mafia’s lucrative treatments. That longstanding decadent activity is part of the fraud of the war on cancer. If the public were to scrutinize what the medical industry and its government pawns are telling them about the ‘war on cancer’ instead of blindly believing what they’re saying, they’d find that the cancer industry and the cancer charities have been dismissing, ignoring, and obfuscating the true causes of cancer while mostly putting the blame for cancer on the individual, denying or dismissing the serious harms from orthodox cancer treatments, and resorting to deceptive cancer statistics to “educate” (think: mislead) the public that their way of treatment is actually successful (read this well referenced scholarly article’s afterword on the war on cancer: do a search engine query for “A Mammogram Letter The British Medical Journal Censored” by Rolf Hefti, a published author of the Orthomolecular Medicine News organization, and scroll down to the afterword that addresses the fraudulent ‘war on cancer’). What the medical establishment “informs” the public about is about as truthful as what the political establishment keeps telling them. Not to forget, the corporate media (the mainstream fake news media) is a willing tool to spread these distortions, lies, and the scam of the war on cancer. Does anyone really think it’s a coincidence that double Nobel laureate Linus Pauling called the ‘war on cancer’ a fraud? If you look closer you’ll come to the same conclusion. But…politics and self-serving interests of the conventional medical cartel, and their allied corporate media, keep the real truth far away from the public at large. Or people’s own denial of the real truth.